Exzo themes has been purchased 35, rating: 4/5 based on 4 reviews. Exzo is a Shopify theme developed by Arenatheme. This is a unique and modern design. 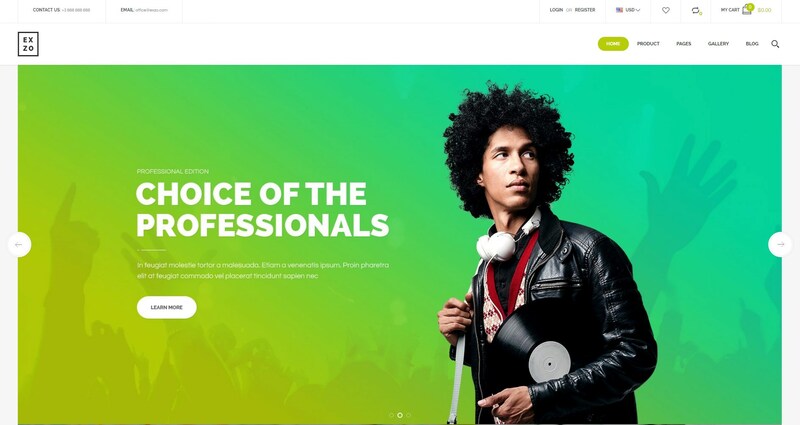 Exzo Shopify theme is suitable for electronics, mobile, music, fashion, accessories, etc and compatible with all devices. There is no doubt about Exzo Shopify theme, surely this theme will make a difference to your store to the competitors. Another great feature, Exzo Shopify theme is built on advanced technologies such as CSS 3 and HTML 5. Explore and experience this great theme!